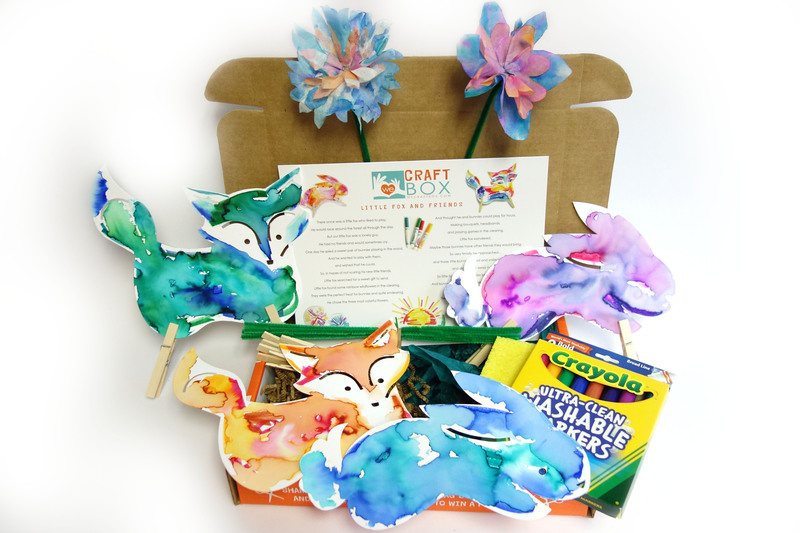 The Little Fox and Friends Box is perfect for a birthday or a crafting gift! While our monthly subscribers get boxes geared for the holidays or seasons, the anytime box can be used year round! 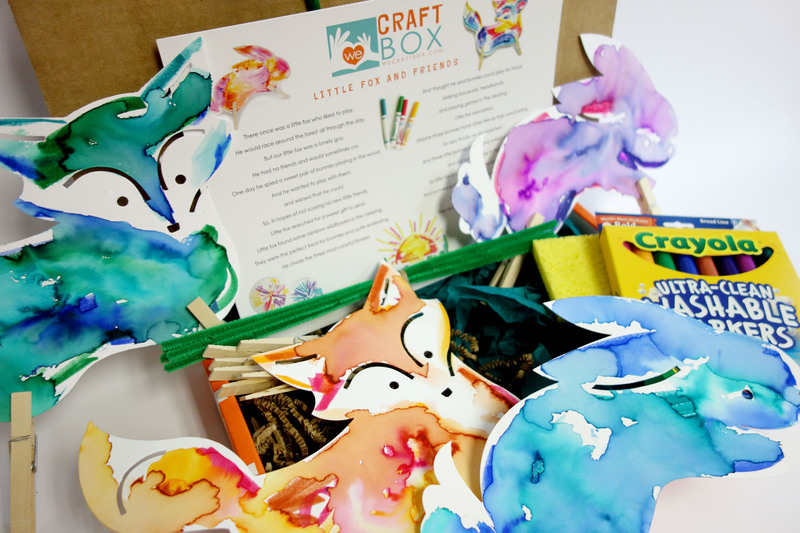 This box is based on a We Craft Box story about the Little Fox and Friends. 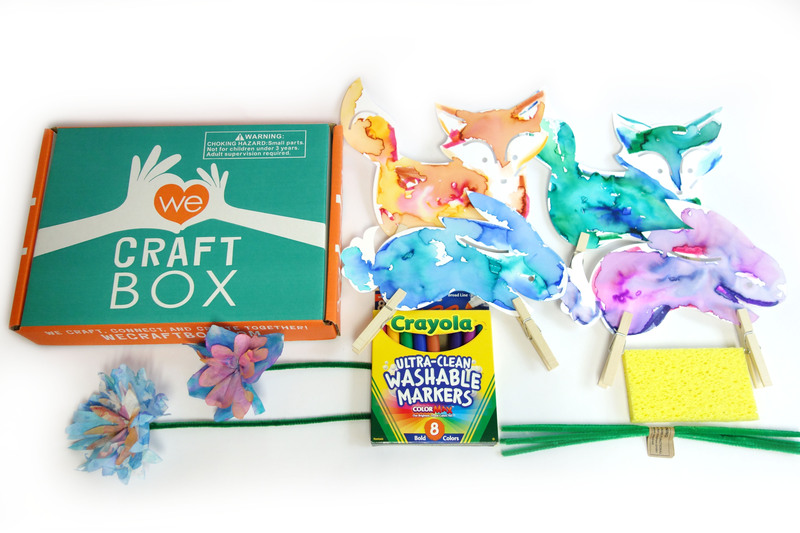 In this box, you can create colorful fox and bunnies and set the sunset scene from the story and have them play. The second craft is creating the rainbow flowers from the story using pipe cleaners, Crayola markers, and coffee filters. Our stories help get the kids' imaginations going and tie the crafts and story together. 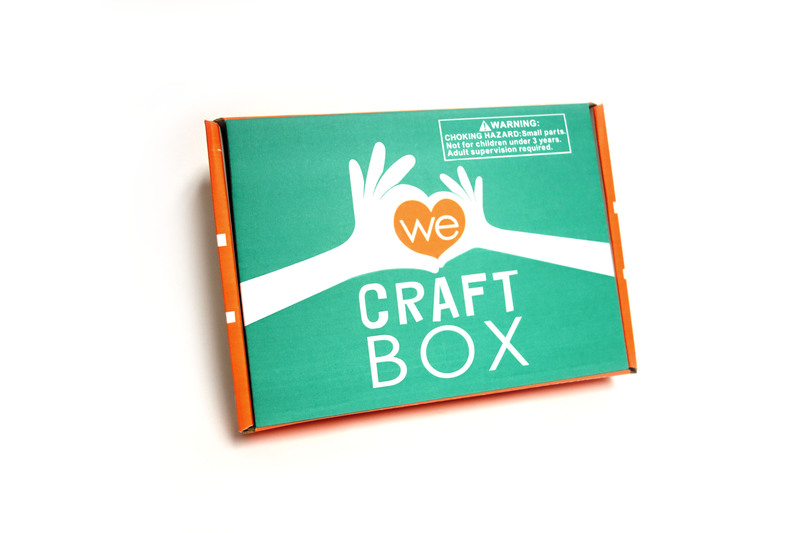 Each box has 2 to 3 prepared crafts with multiple blanks so it can be shared between two children or for you to craft along with your child. Our boxes are roughly geared for ages 3-9 years of age. Enjoy crafting with your kids today!